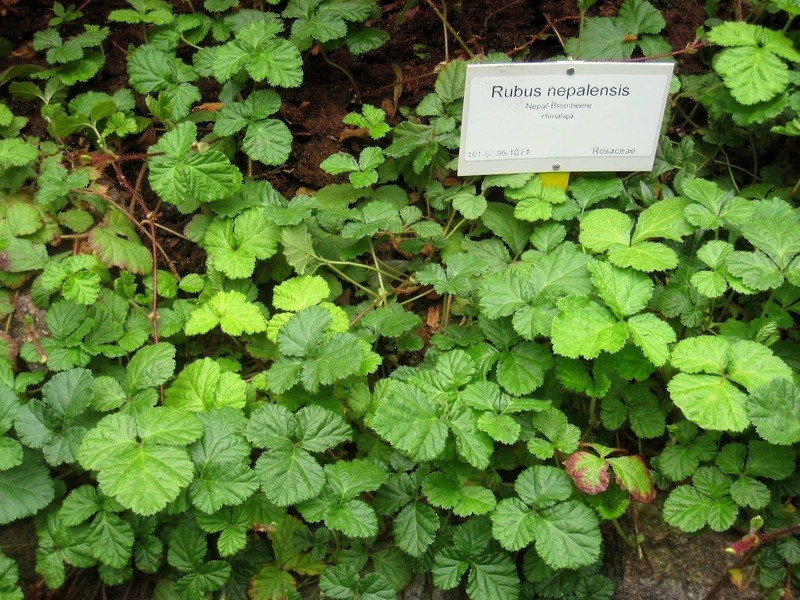 Groundcover Raspberries (like this Rubus pentalobus) are great additions to any garden. 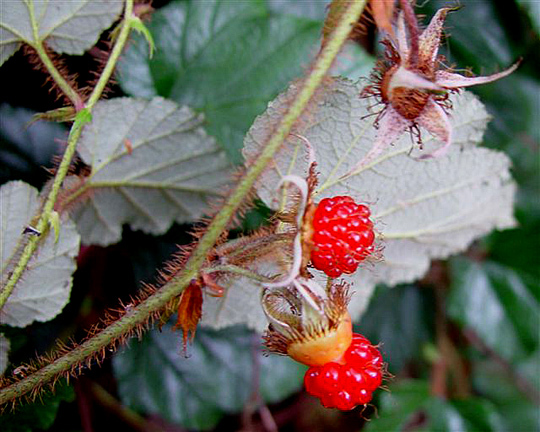 Groundcover Raspberries are not as large, but just as flavorful, as their full-sized relatives. 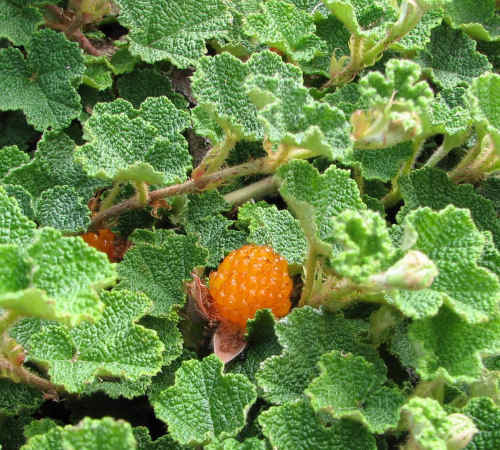 Groundcover Raspberries are low-growing and evergreen. 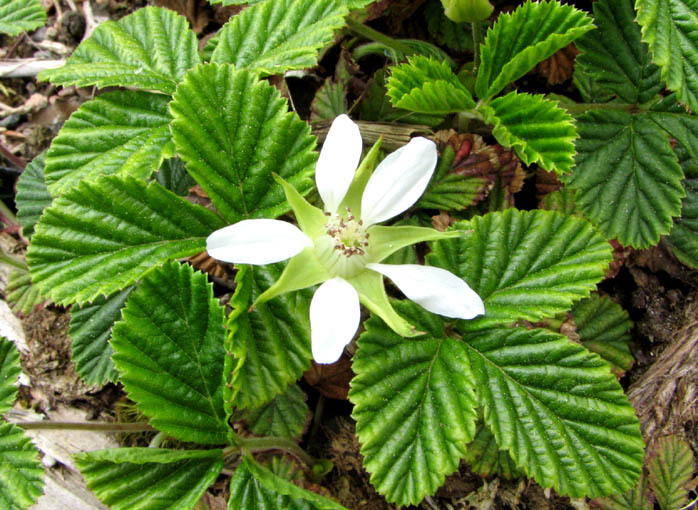 I consider any of the low-growing, shade tolerant Rubus species to be Groundcover Raspberries. 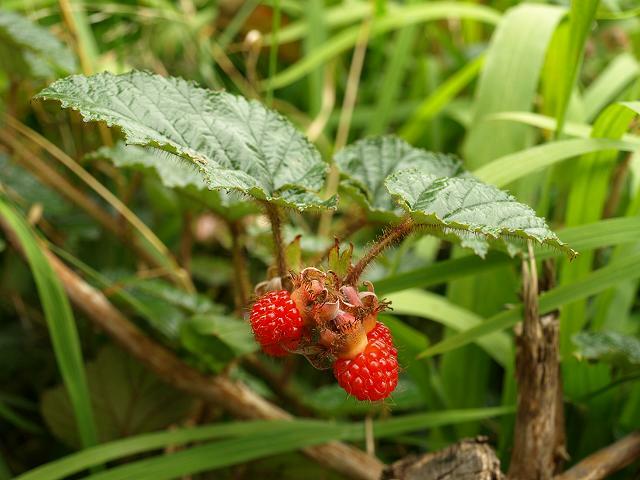 They come from around the world, and they all produce raspberry-like fruit. They tolerate light to medium foot traffic well. They are great nectar plants for beneficial insects, especially honeybees. 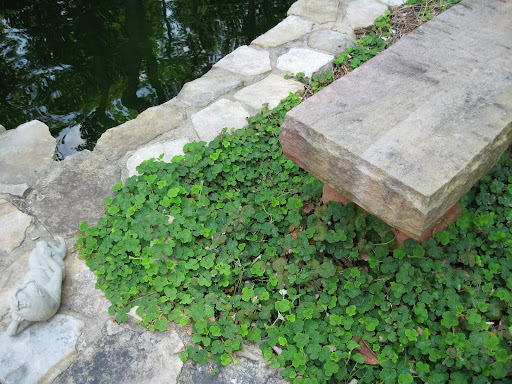 These plants are growing quickly in popularity as more and more people hear about them, and they will be a major groundcover species in my Forest Garden. 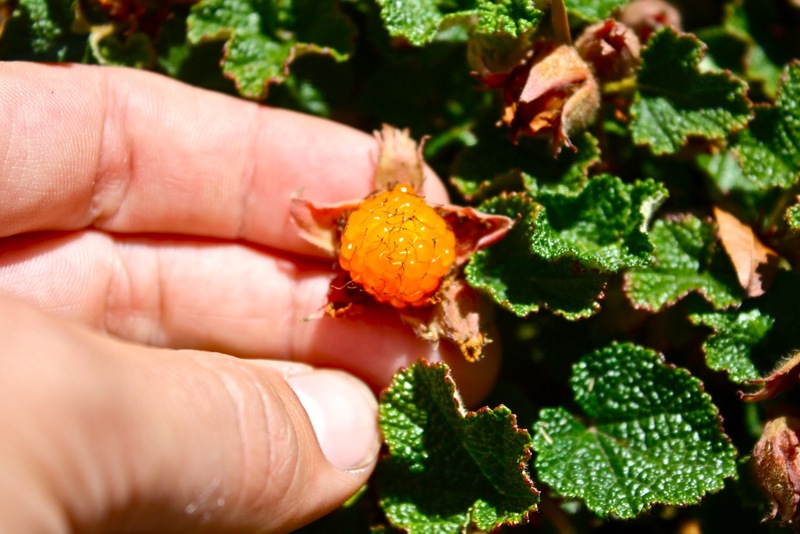 There are a variety of fruit colors with Groundcover Raspberries, Rubus pentalobus are orange. There are a variety of flower designs depending on the species. Yields are not high, but any food production from a ground cover plant is great! Yield: This is a ground cover plant which means that many individual plants are used in a single planting area, and as such there are no good yield numbers recorded; however, yields are not very high. Storage: Use fresh. Can be frozen (individually on a cookie sheet is best, then stored in a freeze bag). Can be dehydrated. Use within a few days at most. Great use of Rubus pentalobus around structures in a garden. Chill Requirement: None recorded, but likely produces better with some chilling. 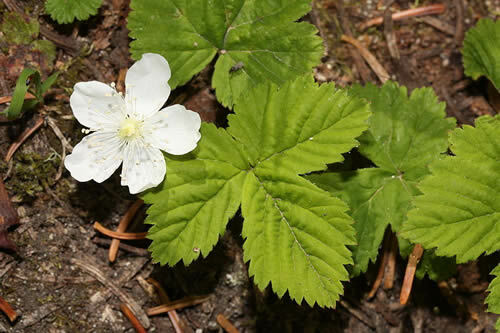 There are many closely related Groundcover Raspberry species that can only be found locally. 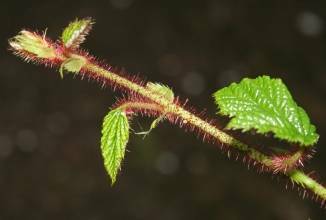 This is Rubus lasiococcus native to the Pacific Northwest. Stems can root which makes propagation rather easy. These are rather vigorous plants. They tolerate light to medium foot traffic. Some areas can become weedy, so it makes sense to grow other goundcover plants with groundcover raspberries (Mint is a great choice). Usually by detaching rooting stems… meaning that as taller stems grow up tall, they will eventually bend over and touch the ground. When this happens, these stems will take root. The bent over stem can be cut when roots have formed, and another individual plant is ready to replant to another location. These plants can be easily layered into pots by pinning taller stems into a small pot of soil. Plants can propagate through seeds, but need some cold stratification. Minimal. Occasional weeding may be necessary. May need to cut back, or mow back, when it grows into areas that we don’t want it to grow… this is not a matter of if, but when. May be slowly and locally invasive if not kept in check… regular mowing on paths works quite well.